A flat belly can be achieved with food!! This is hard to believe,but it is a reality. 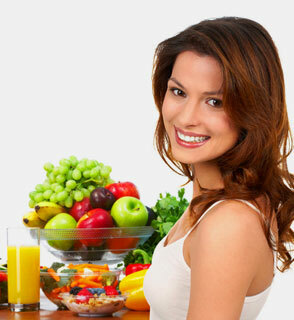 Certain foods can help in the fulfillment of your most cherished dream of owning a flat and well-toned belly. 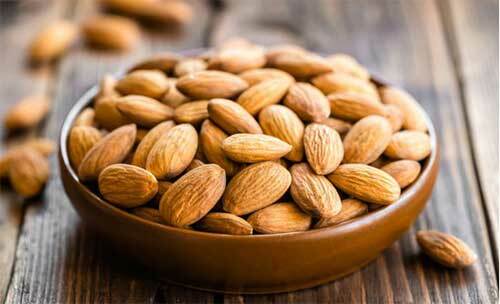 Almonds are loaded with extensive health benefits. They provide a healthy and natural solution to many health problems like –diabetes, constipation, respiratory problems, and anemia. They are commonly eaten raw. Recently Almond milk has also gained popularity as a delicious beverage; iris often used as a healthy alternative for cow’s milk. Almonds are usually soaked in the night and eaten raw in the morning on an empty stomach to facilitate absorption of their nutrients. Almonds are one of the most nutritious nuts on this planet; they are a rich source of essential nutrients like – Vitamin E, iron, phosphorous, magnesium, zinc, copper, niacin and selenium. Apples are loaded with soluble fibers, which is beneficial because it helps in suppressing the intake of extra food. 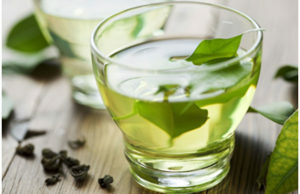 It keeps you full longer and thus helps in weight loss. An average apple has around 4 -6 grams of fiber. The recommended quantity of fibers for adult male (under 50 years) is 38 grams per day, and for adult females is 25 gm/day. Apples also decrease the release of blood sugar after meals. Likewise, they also lower the rate of insulin release in the body. Apples are rich in antioxidants and protect against oxidative stress. 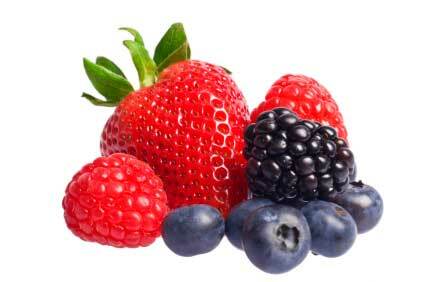 Berries are small, pulpy, juicy edible fruits; they are brightly coloured and may be sweet or sour. They are often counted as one of the healthiest food on the planet. Typical examples of berries are strawberries, blackberries, raspberries, blueberries, blackcurrants, red currants and white currants. Berries are a great source of fibre and antioxidants. Polyphenols like anthocyanins and ellagic acid help to maintaining a healthy heart. 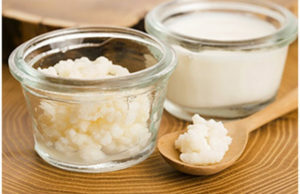 They also increase insulin sensitivity decrease blood sugar in the body, they help in maintaining youthful skin, treat anaemia and balances cholesterol level. Healthy green vegetables can be consumed in large quantities; they will make you feel full and also give energy and required nutrition. 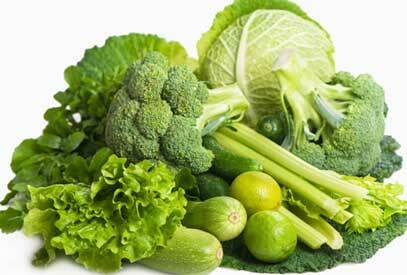 Leafy green vegetables are packed with minerals and vitamins. They are a good source of folic acid, an adequate amount of folic acid plays a vital role in protein metabolism, it keeps insulin levels stable which plays a critical role in triggering fat storage around your belly. Here are few healthiest green vegetables – green beans, spinach, asparagus, broccoli, zucchini, parsley, cucumber, kale, lettuce, Brussels sprouts, cabbage, celery, and micro greens. 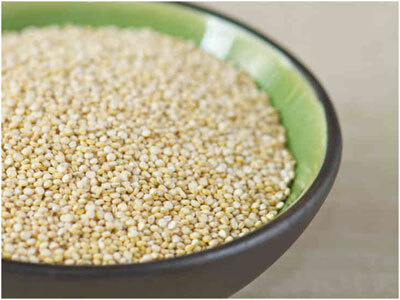 Quinoa is a flowering plant in the amaranth family. Quinoa is rich in dietary fibre; it offers a significant amount of Vitamins, minerals (like calcium, iron, magnesium, manganese, phosphorus, sodium, zinc) and protein. It is gluten-free and ideal for weight management. 100 grams of cooked quinoa provides 120 kcal. The protein present in quinoa help in stabilizing the blood glucose level in the body, since protein takes longer time for digestion compared to fats and carbohydrates it also helps in burning more calories while digestion. A study published in the Journal of Food Science and Technology in 2015, claims that rats fed with quinoa ate less compared to others who were not fed quinoa. While eating quinoa, always ensure portion control; add fresh vegetables to your meal,and this will increase your portion size without adding extra calories. 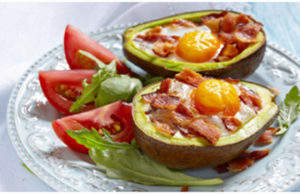 Eggs are loaded with high-quality protein, making them weight loss friendly. One egg contains only 78 calories, a generous amount of vegetable will add to your portion size without burdening you with extra calories. Your weight loss journey should always incorporate a healthy diet, which is loaded with essential vitamins, minerals and adequate amount of fibers and fats. 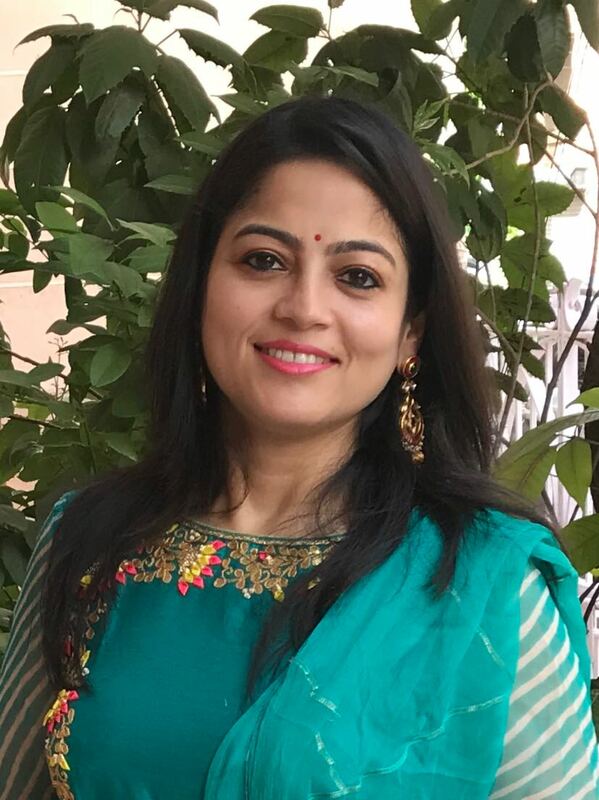 Develop a healthy eating habit, try to eat foods which are derived from plants, keep an eye on your portions, choose whole fruits over juice, get more whole grains and limit your sugar and refined grains.